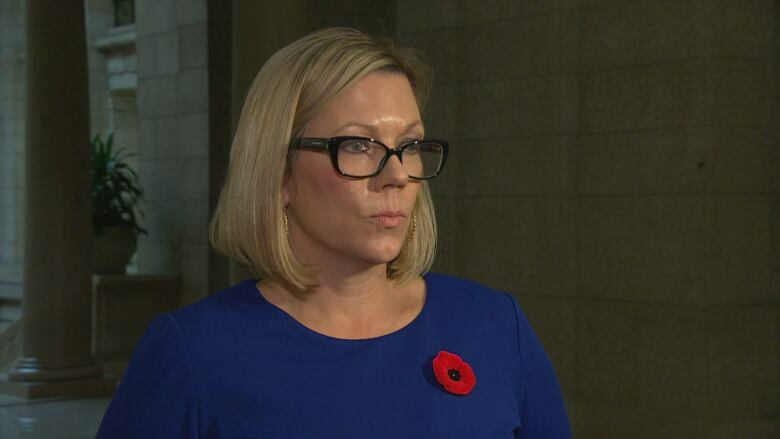 Manitoba's proposed carbon tax is going to have to go up, according to Canada's minister of environment and climate change. Manitoba's proposed carbon tax is going to have to rise, according to Canada's minister of environment and climate change. 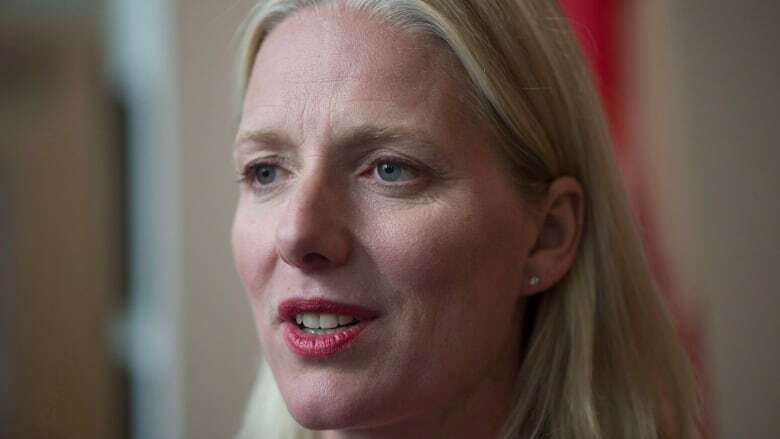 "Manitoba's approach is good for the first two years — we've set a federal standard — but after that they will have to go up," Catherine McKenna told reporters on Monday. On Friday, the province released its proposed five-year climate plan, including a flat $25-per-tonne carbon tax — half of the $50-per-tonne tax by 2022 prescribed in a federal plan laid out earlier this year. Rochelle Squires, Manitoba's minister of sustainable development, says the province's plan will be effective, even with a lower price tag. "Ultimately what we've said is that our plan will achieve meaningful reductions in carbon emissions … if the endgame is really about reducing emissions, our plan will achieve that," Squires said. "We're not fixated on increasing taxes. We're focused on reducing carbon, and our plan will do that." The federal government has previously said it will impose the $50 tax on provinces using "backstop" measures. A legal opinion requested by the province and delivered earlier this month by University of Manitoba Prof. Bryan Schwartz found that the federal government has the constitutional backing to impose the tax, but Manitoba's plan stands a chance if challenged in court, provided it is at least as effective as Ottawa's offering. The Progressive Conservatives have promised to consult with Manitobans through series of meetings, town halls and an online survey regarding the climate plan. Squires says the process will conclude on Nov. 30. On Monday, NDP MLAs questioned the government on details missing from the plan during question period at the Manitoba Legislature. Wolseley MLA Rob Altemeyer called on the government to withdraw an omnibus bill (No. 36, the Budget Implementation and Tax Statutes Amendment Act) that would end the province's obligation to cover 50 per cent of Winnipeg Transit funding per year. He criticized the bill in light of the climate change strategy plan to replace 100 Winnipeg diesel buses with electric ones. Altemeyer also accused the government of "offloading" climate costs onto municipalities. Squires responded the government will support communities, and thanked Manitobans who will participate in the consultation process. New Democrat Leader Wab Kinew reiterated concerns the plan doesn't include details about where revenue generated by a carbon tax will be directed. He called Manitoba Hydro's requested rate hikes a "fundamental flaw" in the provincial strategy. 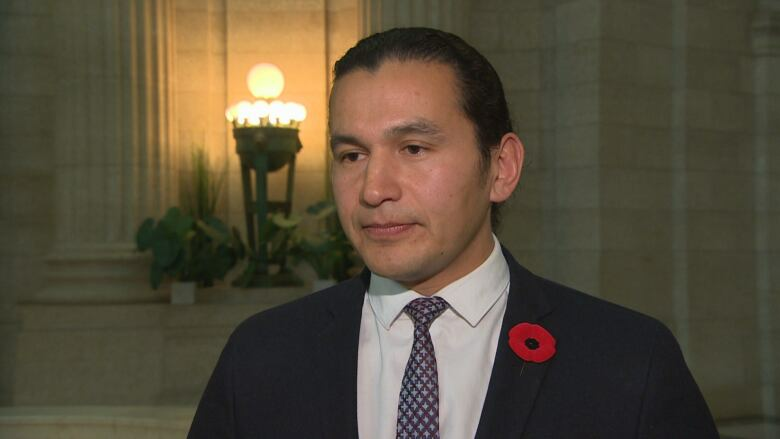 "Particularly with the Hydro rate increases that are happening under [Premier Brian] Pallister's watch, families in Manitoba could get the worst of both worlds," Kinew said. "They could get skyrocketing home heating costs, not just on the natural gas side but also on the hydroelectric side."